Want to make your custom polish extra special? Check out these extras you can add on to your polish! Fragrances may be added to nail polish or top coat for $.50. Below is a list of currently-available scents. We highly suggest this extra for matte custom colors or as an upgrade to We're All Matte Here, our matte top coat. $1 per bottle. Customize the artwork on top of your bottle. Our top labels generally show the polish's name, but for custom colors you have full control! If your customized top label does not include your custom polish's name, there will be a sticker on the bottom with your polish name. Maximum artwork size: 1" round. Price: Varies. Starting price: $1. Shown is a now-discontinued polish, My Precious. You may also customize a label for the bottom of your polish. Maximum artwork size: .75" round. Price: Varies. Starting price: $1. 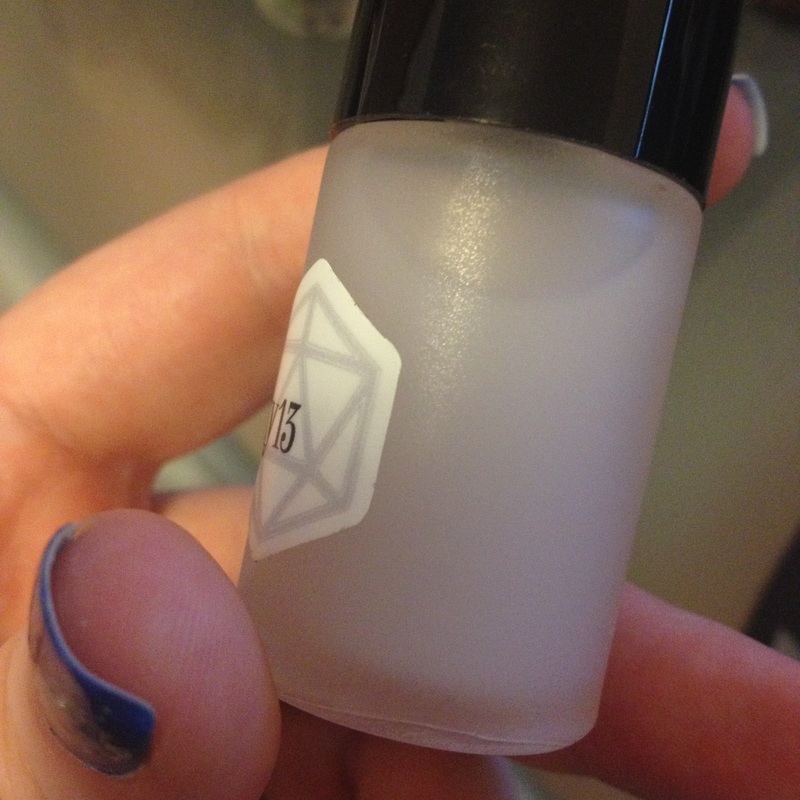 Shown is a now-discontinued polish, Live Long and Prosper.